A paternity case doesn’t have to cost you a fortune – but it’s important to understand how they differ from custody cases in a divorce. In a paternity case, both the mother and father have rights. However, the mother in paternity cases is considered the natural guardian. This means that the mother is entitled to primary residential care until a court changes this. Married parents, by contrast, are both considered natural guardians, and the Husband automatically has custodial rights. No court order is necessary. 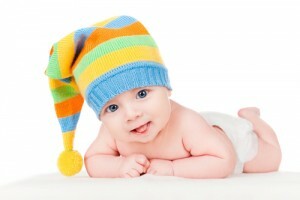 Paternity cases, by definition, are used to establish who the father is. They are also used to determine the parenting time, areas of responsibility, and child support. When a child is born, it is common practice for the father to sign a “Voluntary Acknowledgment of Paternity” form. The father has sixty days in which to rescind this. Many fathers seem to believe that signing this form provides them with the same custodial rights as the mother. However, this is not the law. Fathers who are not married must go to court to establish their parenting time, unless they can work it out with the mother. Once filed, however, courts in paternity cases use the same statute to determine parenting time as they do in divorces. This statute provides that it is the public policy of the State that children have frequent and continuing contact with both parents. It also provides a series of factors courts are to consider in fashioning a parenting plan. This plan will outline the time each parent has the child. It should also address whose home is to be used for school purposes, and the ways in which the parents should communicate. Parents should also expect to have shared parental responsibility. This means that both parents consult each other regarding major issues which affect their child. And both parents should have access to medical and school records. We have handled many paternity law cases over the years. If you or a loved one needs assistance, please feel free to call us.